Reduced international shipping rates. Prices include part of shipping. No charges for all orders of 6+ bottles shipped to France. The Domaine Dupont Calvados all have the "Appellation d'Origine Contrôlée Pays d'Auge". Made using double distillation in a Charente style alembic, they all receive aging in oak barrels, for periods varying between 2 to 40 years. They are only bottled when about to be sold. Prices include part of shipping. Reduced international shipping rates. No charges for all orders of 6+ bottles shipped to France. 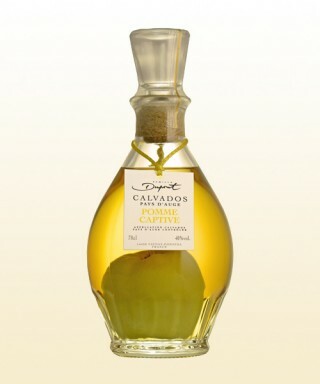 Calvados Reserve has aged 3 years in oak barrels, with 25% of new oak. Available in 35cl, 70cl & 150cl bottles and 70cl carafe. 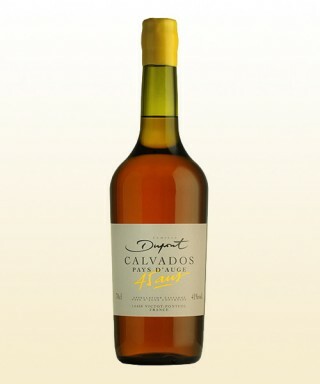 Calvados Hors d'Age has aged 6 years in oak barrels, with 25% of new oak. Available in 35cl, 70cl & 150cl bottles, 20cl flask and 70cl carafe. Calvados Plus de 12 ans (more than 12 years) has aged 12 years in oak barrels, with 25% of new oak. Available in 35cl, 70cl & 150cl bottles and 70cl carafe. Calvados Plus de 15 ans (more than 15 years) has aged 15 years in oak barrels. Available in 35cl, 70cl & 150cl bottles and 70cl carafe. Calvados Plus de 20 ans (more than 20 years) has been aged for at least 20 years in a wooden vat and toasted oak barrels. 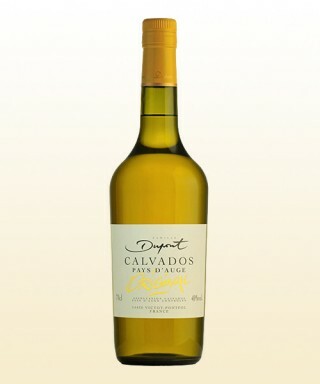 Available in 35cl, 70cl & 150cl bottles and 70cl carafe. Calvados vintage 1988 was distilled in 1988 and aged in oak vat and in a toasted oak barrel. It was treated in such a way as to maximise its concentration and complexity. Calvados Plus de 30 ans (more than 30 years) has been aged for at least 30 years in a wooden vat and toasted oak barrels. Calvados Plus de 30 ans Non Réduit (more than 30 years unreduced) is a strong calvados: it is bottled at cask strength, with neither dilution nor cold filtration. Calvados vintage 1980 was distilled in 1980 and aged in oak vat and in a toasted oak barrel. It was treated in such a way as to maximise its concentration and complexity. Calvados vintage 1977 was distilled in 1977 and aged in oak vat and in a toasted oak barrel. It was treated in such a way as to maximise its concentration and complexity. 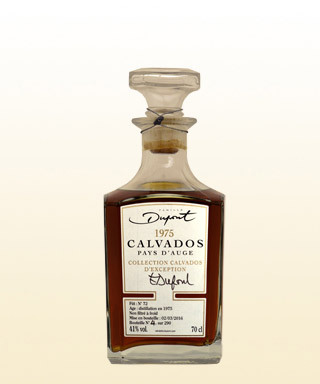 Exceptional Calvados seriesCalvados vintage 1975 was distilled in 1975 and aged in oak vat and in a toasted oak barrel. It was treated in such a way as to maximise its concentration and complexity. 70cl Carafe only. Calvados Plus de 45 ans (more than 45 years) has been aged for at least 45 years in a wooden vat and toasted oak barrels. Calvados Plus de 45 ans Non Réduit (more than 45 years unreduced) is a strong calvados: it is bottled at cask strength, with neither dilution nor cold filtration. Calvados vintage 1972 was distilled in 1972 and aged in oak vat and in a toasted oak barrel. It was treated in such a way as to maximise its concentration and complexity. Pomme Captive (Captive Apple) contains an attractive apple, macerating in young Calvados. Calvados Original spray to use in the kitchen: perfect for cooking, flambages ... 2017 Innovative Food prize-winner (Trophées de l'Agroalimentaire). Calvados & Caroni Rhum Cask. The “Cask Finish” collection is born from the desire to enrich the classic aromatic palette of our calvados by refining in casks that have previously contained wines and spirits.